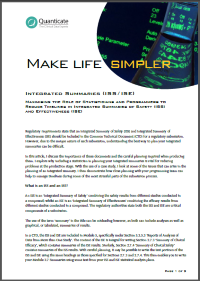 In this 9 page article one of Quanticate’s Principal Statisticians outlines the issues that can arise in the planning of an Integrated Summary of Safety (ISS) and Integrated Summary of Effectiveness (ISE). The article gives some very useful tips on how to better manage the timelines and minimise the workload. It also explains why including a statistician in planning your integrated summaries is vital for reducing problems at the production stage.